Even though Apple’s iOS and Google’s Android are the two most popular mobile operating systems in the world, Microsoft is not giving up. As we all know, Microsoft is the one behind the highly popular Windows PC operating systems and the tech giant wants to replicate that success in the smartphone world. Competing against iOS and Android might not be an easy task, but Microsoft is doing its best and it keeps introducing new features and apps that give people a reason to purchase a Windows Phone powered device. In fact, Windows Phone has recently added support for TubeMate and today we will present everything there is to know about it. Ask anyone what they love to do in their free time and their answer will most likely be to watch movies, TV shows, and online videos. This is the best way to pass up free time, but on the downside, you will need to have an internet access in order to watch online content on your smartphone. Fortunately, this is where TubeMate comes in and saves the day. TubeMate is a highly popular Android app and Windows Phone fans should be happy to know that it’s coming their way. The reason TubeMate is so popular is because it gives people the ability to do the impossible, download videos from any website! Yes, you read that right. TubeMate can download videos from every website and this means that users will always have new videos to watch in their spare time. The cool thing about TubeMate is that it doesn’t limit its services to only one website such as Vimeo and it can download videos from everywhere, YouTube and Instagram included. Therefore, it’s nearly impossible to run out of fresh content to watch as long as you have TubeMate installed on your smartphone. 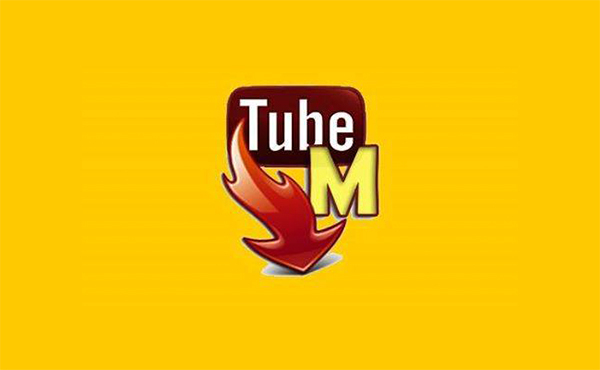 Where to Download TubeMate From? Even though TubeMate is a premium app, it’s not listed on the official Google Play Store. However, the reason why Google doesn’t want to feature TubeMate is not because of security reasons, but because TubeMate’s features go against the terms of services (ToS) of websites that don’t feature a “Download” button next to their videos. Fortunately, Microsoft doesn’t share the same opinion and TubeMate can be downloaded directly from Microsoft’s app website. The app measures in at 9.85MB and it requires a minimum operating system of Windows 10 Mobile or Windows Phone 8.1. Considering the fact that TubeMate has been specially designed to download online videos, it should come as no surprise that the app’s developers have made it their top priority to improve the speed at which TubeMate can download videos. Therefore, TubeMate can download videos at speeds as high as 40 MB/s. If this doesn’t sound impressive enough, then you should know that 40 MB/s is 200 times faster than the speed at which Bluetooth can transfer files from a smartphone to another. We should also note that TubeMate’s download speed is either boosted or slowed down by the Wi-Fi network that the smartphone on which TubeMate is installed is connected to. Another great feature that TubeMate brings to Windows Phone devices is its ability to download free music. Since TubeMatecan download music videos without any issues, users can then take those music videos and transform them into simple MP3 tracks with the app’s built-in MP3 converter. TubeMate is a great addition to the apps that Windows Phone users can download and we can be sure that many people are going to be happy to know that they can download all their favorite online videos while at home and then watch them while offline.